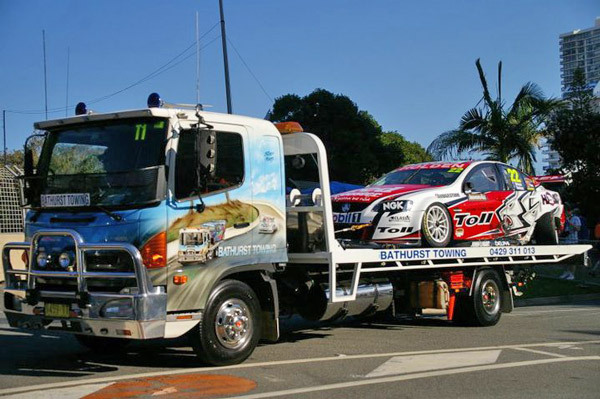 Bathurst Towing’s fleet of trucks are purpose built to accommodate the most specific of requirements in transport. A complete range for all job applications. All of our vehicles are fitted with back-to-base GPS tracking enabling us to provide you with live updates and track your goods from start to finish. Our fleet of tilt trays are custom built to service all of your transport and towing requirements, from a race car to a stretch limo, an excavator or a caravan. Our tilt trays are fitted with wheel clamp tie down systems, for damage free vehicle transportation. 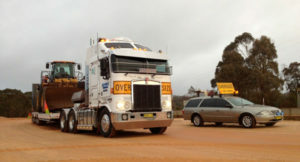 Our low loader is also available to cater for all of your heavy transport needs. Capable of carrying up to 40 tonnes, it has a heavy duty winch mounted to recover broken down machinery. Whether it’s a dump truck or an excavator, a truck or a bus, we can transport it across town or across Australia.